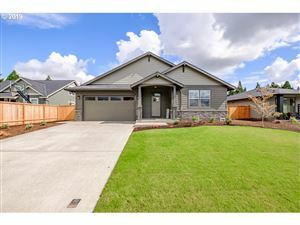 Beautiful two story contemporary in a quiet, friendly neighborhood, with stunning farmland views! Soaring ceilings w/main level living. Hardwood floors, gas fireplace, open concept living/dining room & kitchen. Great kitchen w/granite counters, eating island, gas range & pantry. Master on main w/views, walk in closet, soak tub, double vanities, shower. 4th bedroom/bonus,2 additional bedrooms, bath upstairs. Lovely low maintenance yard! This content last updated on 4/20/19 7:30 AM PDT. Some properties which appear for sale on this web site may subsequently have sold or may no longer be available.